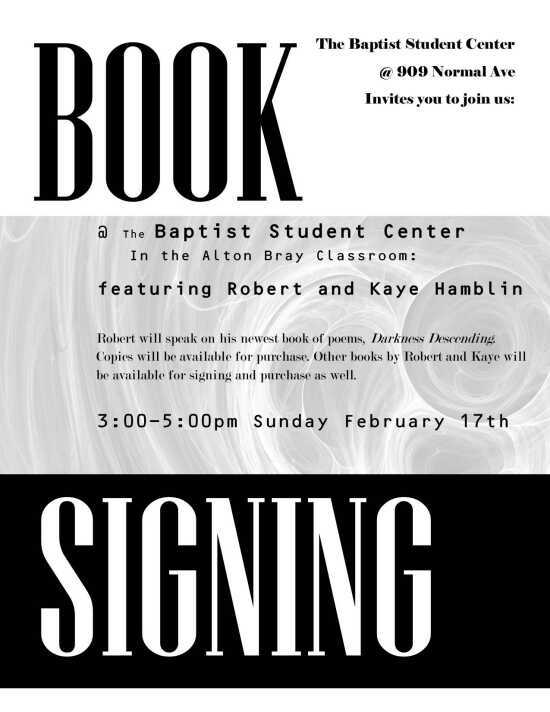 Join us at the Baptist Student Center to welcome Robert and Kaye Hamblin for a special book signing for Robert's latest book of poems, "Darkness Descending." Robert will speak on his experience writing the collection of poems. All proceeds from sales of this book will be donated to Alzheimer's Disease research. Other books from the two prolific authors will be available for purchase and signing. Refreshments will be offered from 3:00 p.m. - 5:00 p.m.